PSBA supports beekeepers with information to improve their hive management practices and honey bee health. 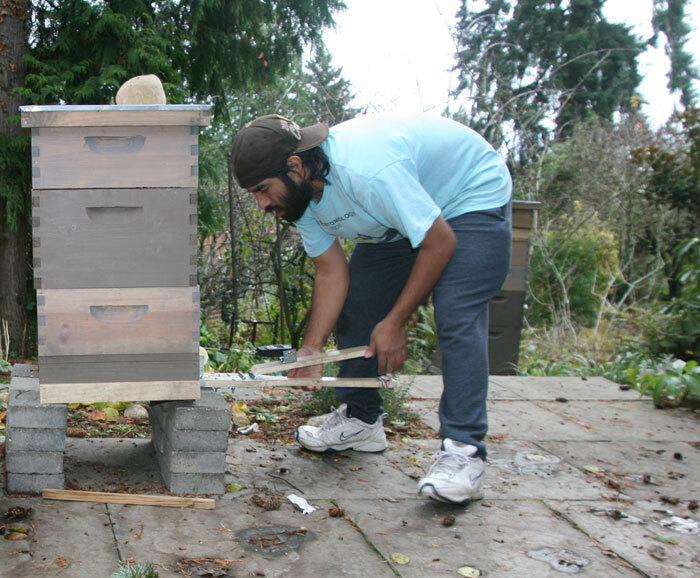 In 2013, we initiated some focused data gathering from our beekeeping community – with the help of board member and PSBA Research Chair, Daniel Najera, PhD. Below are the outputs of those studies, as well as a list of opportunities for beekeepers in the Puget Sound Area to participate. 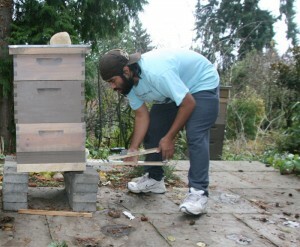 Do your part to help bees by contributing observations and data from your beehives! Sign up to participate in any of the below by clicking here. Evaluate hive density and impact to honey flow in urban environments: Where are the most bees currently, where are there voids? Hive Droppings – Mite Counts and Pollen Samples: The drop counting is working well, but we need more data – i.e. more participants! Pollen Colors and Counts: On sunny days, 5 or 10 minute counts of watching the entrance can tell us a lot! Monthly Surveys: Come to a PSBA meeting and participate in our monthly surveys on hive data! Nosema Study: Come to a PSBA meeting with your sample of bees to see if nosema is a problem in your colony.